Numerous connectivity options: Ethernet, RS-232, RS-485/RS-422, USB, 3/3+1/1 Digital I/O etc. We are pleased to announce that we took a part for eighth (consecutive) time at the world's largest event dealing with embedded technologies. 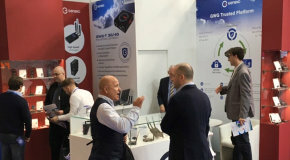 Our brand new Trusted platform, that allows end-to-end data security in Internet of Things, was premiered at the event. There were lot of guests, who took the opportunity to discuss with us about future projects and solutions that are of their interest. Build your Internet of Things (IoT) solutions with Geneko field proven professional and industrial cellular routers which enable multiple connectivity options by 3G/4G LTE, ADSL2+ and Wi-Fi. Our innovative High Speed Cellular Router and Gateway Series stand out with exceptional reliability in operation and customized M2M functionalities. 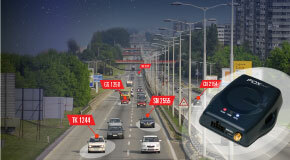 Fox tracking devices give you real-time control of your mobile resources, so you can: locate, track, communicate as well as monitor vehicle statuses and important events. Geneko products can be purchased through qualified distributors, which are chosen carefully and trained to ensure the highest levels of service.